What is your call to action ? Even when you have put in all your best efforts to produce a marketing video that will be watched to the end, if your video doesn’t include a clear Call to Action (CTA) then you will probably miss out on valuable post-video viewer interaction. Which asks the question: What do you want the viewer to do after watching the video? 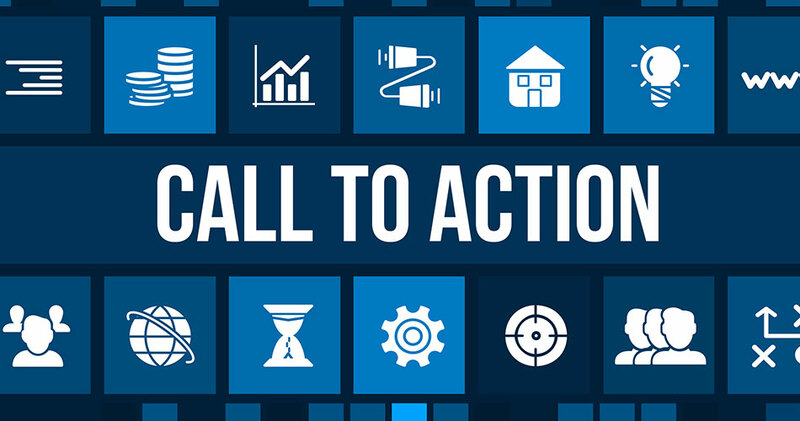 What is a Call-to-Action ? Depending on its purpose, the CTA can be categorised as either hard-selling or soft-selling. 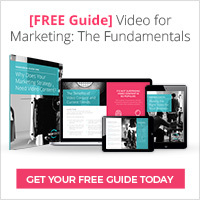 How to adapt your video marketing CTA to your channel? Knowing what the Call to Action is should come right at the beginning. To know how to deliver it means understanding the customer journey from the point where they first come into contact with your brand and the video. If you were looking online consumer to buy a product, how would you go about it? Would you buy the product straight away or would you want to know more, compare, ask people, read reviews, leave the site, come back more than once before finally placing your order? Online consumers take their time to compare and understand the product before making a purchase. Normally what drives consumers to buy a product on a specific online retailer is things like delivery and return conditions on top of the user reviews. In this scenario a hard sell CTA could be a complete turn-off and hinder the videos chances of being successful. If the consumer is on your website then there are strong possibilities that they are towards the end of their purchase process. Your customer has already made up his mind and is ready to purchase your product. Over here, your CTA should nudge them to the right side with a strong CTA that convinces them that the choice they are about to make is an excellent one. Some examples of such a CTA will be – ‘Free delivery if you order now’, ‘Order today and you will pay -15% less’, ‘20% off on your next purchase if you order now’, ‘Contact us today for a free assessment’, etc. You will note that all of these CTAs get straight to the point as they are aimed at customers who are ready to buy; and you just step up and seal the deal with that one final offer. If the consumer is watching your business videos on YouTube or Vimeo, or if they spend time to look at them on any of the social media channels, then you can safely assume that they are still in the middle of their ‘research’. So you should not try to hard-sell your product but instead engage the viewer with a more passive CTA that will help you establish a relationship with them. Examples of such a CTA would be when you ask the viewer to ‘Share this video’, ‘Subscribe to my channel’, ‘Watch another video’, etc. Even though it might not sound very attractive, you really don’t have to be! At this moment your main objective is to engage with the viewer and if they share the video, you can reach out to even more prospects! The only catch is that your video should be good for the viewer to share it as they risk their own credibility by sharing your content on their personal social media accounts. This is why a good production is extremely important! If your video is good then the viewer will more likely be convinced that what you have to say. Also, by inviting them to connect with you on social media, it will seem a lot less commitment for them compared to signing up with their email. You should look to drive regular B2C viewers to your website with a smooth CTA like ‘Get a free sample’, ‘See More’, etc., or focus on a more robust B2B video marketing strategy that offers them a chance to ‘Download a free PDF’, ‘Subscribe to newsletter’, etc. All these CTAs increase the chances of interaction between you and the viewer, making sure that they don’t move on to some other website, forgetting about you. The beauty of social media is that once you have connected with the consumer, you can always come back to them with an even more enticing offer! When you are choosing a CTA for your video, you should look to make it as useful as possible for the viewer. Just by understanding the psyche of your consumer, you can craft a CTA that would appeal to them at that particular stage of their purchase cycle. If used properly, soft-selling CTAs can be equally as effective as a hard-selling CTA. The more number of interactions you have with your potential customers, the closer they will come to turning into your real customers, and every effective CTA that encourages your viewers to engage with your brand, increases your prospects!